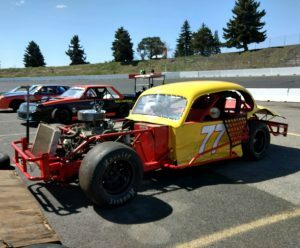 Vern Huson, #77, took home the 4th place trophy for the 2018 racing season. Vern is a very dedicated driver, coming from Wenatchee, a true racing traveler. Vern ended his season with a total of 423-points. 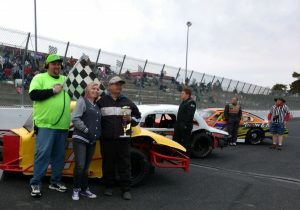 Vern started racing at Spanaway Speedway at the age of 14-years old; however, he told the track officials he was older. Not to give away Vern’s age, but that was over 50-years ago. Vern joined VMRA 3-years ago and had not missed a race until some bad luck kept his car at home a couple races through the season. Vern has definitely put the ‘Vintage’ in Vintage Modifieds. 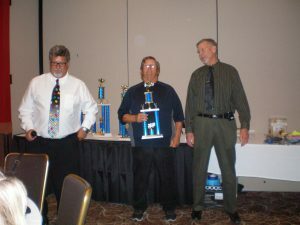 Congratulations Vern, another fun year under your wheels.